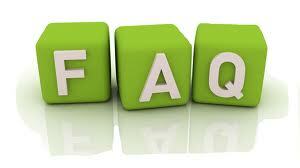 We will periodically update this section with new questions as they arise. If you have further questions, please do not hesitate to contact the Entourage Management Team at (270) 842-1148. We will be happy to assist you! I can't find my registration website. Your group's registration link is not searchable from our website and needs to be entered into your browser as a specific link. The link to your registration site was provided to you on your registration flyer that was given out at school or at a parent meeting. If you can't locate your registration link just give us a call. Can I register after the cutoff date? We will continue to accept registrations as long as there are seats available on the motorcoach up until 60 days prior to the trip. New registrations that are received less than 60 days prior to the trip are subject to availability for accommodations and activities. What if I'm late on making a payment? We are a flexible bunch and will work with you on dates for your payments if special arrangements are necessary. All tours must be paid in full prior to departure. If your account i not paid in full at 30 days prior to departure you risk being removed from the trip. How much money should we budget for spending on the trip? We recommend that you budget $10.00 - $15.00 per meal that is not included in your itinerary. For souvenir shopping the sky is the limit there! Send along whatever amount you are comfortable with your child spending. How will roommates be assigned? Students will sign up for roommates in class. If you have any concerns about roommate selections, you should contact the group leader for your group to advise. Typically, students will be assigned 4 to a room with existing bedding of 2 queen beds. If suite accommodations have been arranged, students will be assigned 5 to a room with existing bedding of 2 beds + a pull out sofa. Chaperones will be contacted to see what their preference will be on roommate assignments. Can we watch movies on board the motorcoach? The motorcoach is equipped with a DVD player. We suggest that participants bring along movies that G or PG rated to share with the group. Movies will be approved by the chaperones traveling with the group. Any movie with excessive language or adult situations will be pulled. Will there be Wifi on board the motorcoach? Yes, but please be aware that the service is limited! We will be connecting to many cell towers while traveling and reception will not always be consistent. You can surf the web, check your email and visit social media sites. You will not be able to stream movies, music, or download large files. On board Wi-Fi is NOT dependable and will not work more often than it will work. When it works - we celebrate! When it doesn't, we chat with our neighbor on the bus. Do parents receive notifications from the group during their travels? YES! 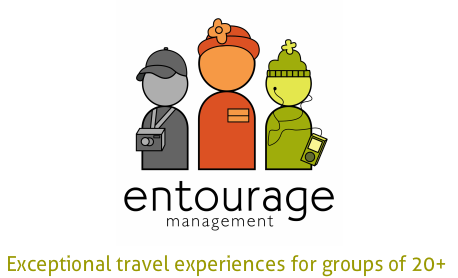 Parents at home will have the option to register for Remind and receive text message updates from your Entourage Management Tour Director during the trip. Our Tour Director will send you 1-3 messages per day letting you know how the group is doing and highlights of what they have been up to. We will also send you a link through which you can see photos of the group during their adventures. Are there outlets on board the coach? 110V outlets will be located every 3-4 rows on the motorcoach and will be shared for charging phones and other electronics during the trip.